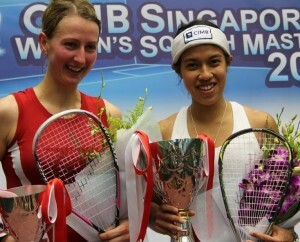 Malaysian squash star Nicol David won her fourth successive CIMB Singapore Women’s Masters title on an all-glass court seen for the first time at Kallang Leisure Park in Singapore – but her English opponent Alison Waters can take credit for having given the world number one her toughest test in today’s (Saturday) final of the $53,500 WISPA World Tour Gold event. Top seed David, looking for her fifth Tour title in a row this year, went onto the court with a 14-0 career head-to-head record over her third-seeded opponent. In truth, Waters had her chances and the first game was in many ways the decider. With both players at their freshest, the game settled into a battle of attrition with David conceding an early 5-2 lead, giving up five straight points with uncharacteristic loose shots. With Waters 9-5 up, the officials were called for a let decision which ended with the point being replayed, and Nicol staved off disaster by pushing the Londoner to 9-9. Waters had her first game point at 10-9 which she failed to convert. And she went on to have five more, not succeeding in winning any, as David found her way to level off each one of them. At 17-16, David got her second chance, and closed the door. After a 27-minute struggle, instead of being a game up, Waters was instead one down. Make no mistakes, the results show a straight games win to David – but it was no walk in the park. 9-9 in the second game, and 10-10 in the third, gave Waters plenty of positives as she looks forward to recording her first career win against the Malaysian: the record now stands at no wins after 15 meetings! 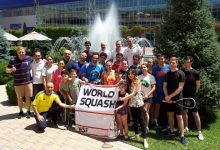 Bringing the tournament to the people has been a great hit – the glass court is not a new idea but it is certainly one that needed to be repeated in Singapore. 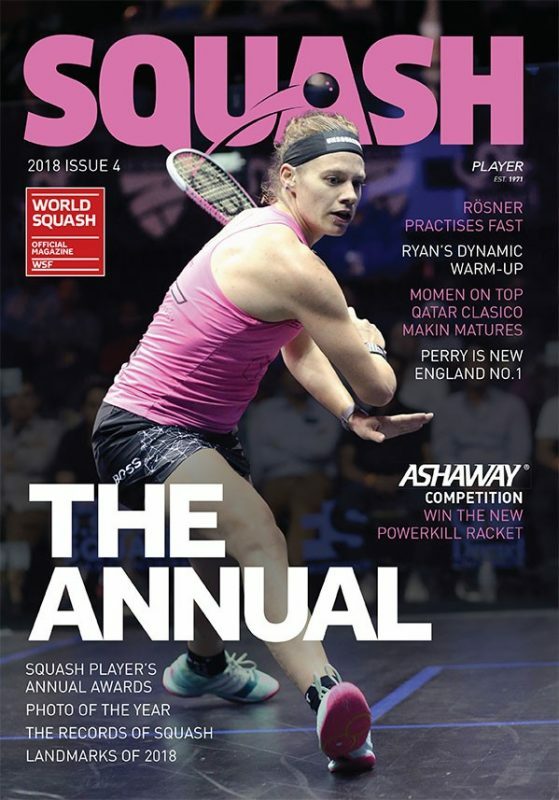 With S$300,000 invested in a lease-to-buy deal for the glass court, squash fans can be certain there would not be another 12-year absence before the court is seen in public again. Some 400 spectators enjoyed the action this year, which also went out ‘live’ on television across Southeast Asia. And Grainger sees the potential for the event to grow. “The reception this year has been tremendous and the SSRA can certainly grow this event,” said the former world number one from the USA. “Perhaps the success this year could see a bidding war from the shopping malls in Singapore for the next edition. 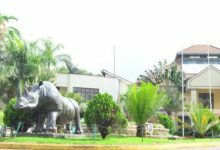 And I understand there is a huge complex with a casino in town which can certainly accommodate this event,” Grainger said with a twinkle in the eye. 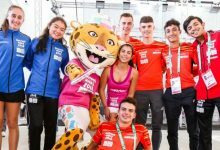 The Marina Bay Sands integrated resort hosted a glittering first class fencing event just the night before, and they could certainly do with a little bit of magic from the ladies. “Success guaranteed,” added an event spokesman. Top seed Nicol David turned in a composed performance today (Thursday) to despatch world No9 Kasey Brown 11-7, 11-5, 11-6 to reach the last four of the CIMB Singapore Women’s Masters, the $53,500 WISPA World Tour Goldsquash event at Kallang Leisure Park in Singapore. The Malaysian world number one stayed patient throughout the 40-minute encounter, working long rallies to her advantage and making her Australian opponent work just a little harder to keep up. 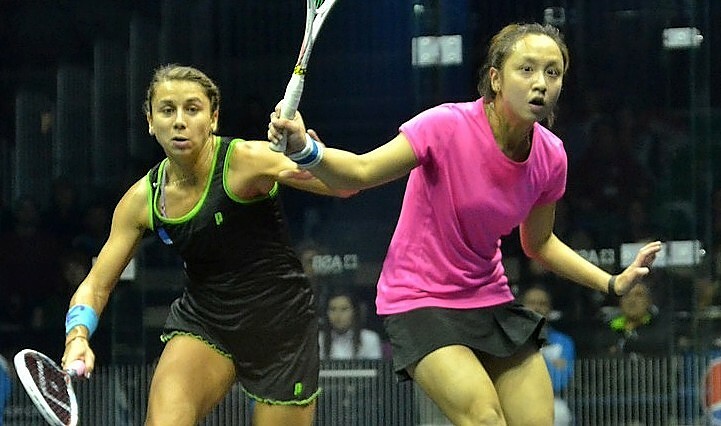 Brown was magnanimous in defeat: “Nicol is just super quick around the court. I had a game plan in mind but didn’t execute it properly. She wasn’t giving much away at all throughout the match, even when I was trying to slow the game down. “At times it felt like I had to win the rallies several times over just to get a point!” added the 24-year-old from New South Wales. The victory sets up an intriguing semi-final for David against Northern Ireland’s Madeline Perry, who ended Annie Au‘s Singapore run 9-11, 12-10, 11-9, 11-4. Ten months ago, the Penangite suffered one of her four defeats in 2009 to Perry in the quarter-finals of the British Open. But David is not about to let memories of the 76-minute match in Manchester play on her mind: “I bounced back quickly from that defeat and went on to win the World Open right after that. Right now, I’m feeling fit and am staying focused for the next match,” said David. 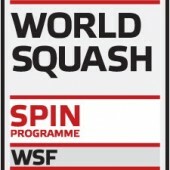 The other semi-final will be between second-seeded Rachael Grinham and England’s Alison Waters, the third seed. And, whilst the first three editions of the Singapore Masters final have been won by David, they have invariably featured one of the Grinham sisters. World No3 Rachael made sure that could still happen after despatching WISPA President Natalie Grainger in 20 minutes. Looking ahead to her encounter with Waters, the 33-year-old Queenslander said: “Alison creamed me in our last three or four matches, and she’s in pretty good form. So I’m in for another tough match tomorrow. “I’m still getting back to full match fitness having not played tournaments since April, and lasted one match in Malaysia last week,” added the former world number one. The Australian’s quick wins over Grainger, and Singapore’s Pamela Chua in round one, would hardly have given her the workout she needed. 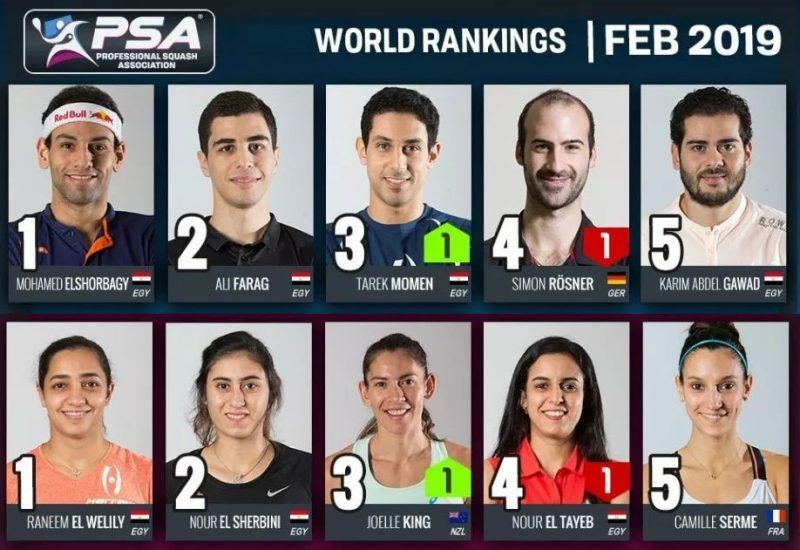 Hong Kong qualifier Annie Au stunned Egypt’s world No6 Omneya Abdel Kawy in the biggest upset of today’s (Wednesday) first round of the CIMB Singapore Women’s Masters, the $53,500 WISPA World Tour Gold squash event at Kallang Leisure Park in Singapore. The 21-year-old twice came back from a game down to push the match to a fifth game. In the decider, Au got herself to the brink of victory at 10-6 before nerves took over. 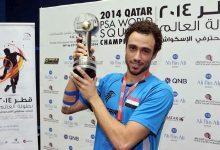 Fourth seed Abdel Kawy took three straight points to narrow the score to 10-9 but that was as close as the Egyptian got as Au took the winning point to record her first victory over a top 10 player. 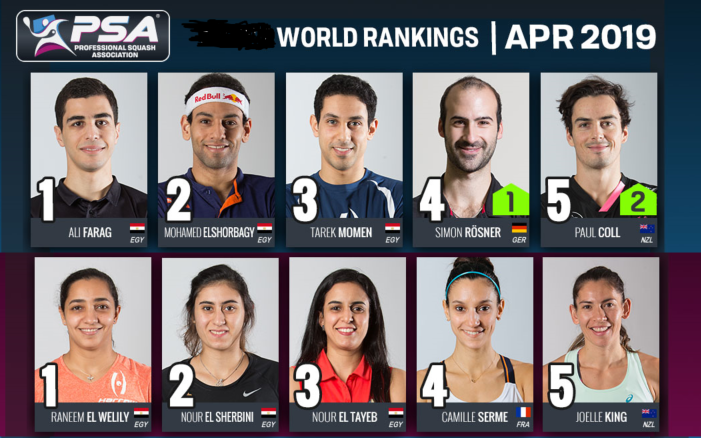 “It was Au’s first competitive meeting with the enigmatic player from Cairo, and one which she did not wish for, given her dismayed reaction last night after being drawn to face Omneya,” commented an event spokesman. 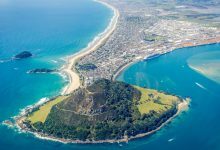 The left-hander’s quarter-final assignment does not get easier – as she will face Madeline Perry, the sixth seed from Ireland who despatched Malaysia’s Low Wee Wern in four games. 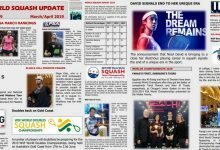 No joy, though, for Chiu as she went down tamely to England’s third seed Alison Waters in straight games, while second seed Rachael Grinham ended the home challenge by outclassing Singapore wildcard Pamela Chua. For Chua, who is heading back to California soon to resume her Mathematical and Computational Studies at Stanford University, the 18-minute workout emphasised the difference between her, a varsity player, and Grinham, a full-time touring professional and a former world number one and world champion. WISPA President Natalie Grainger came through a dramatic 45-minute battle with Malaysia’s Delia Arnold. The 33-year-old fifth seed fought back from two games down to win a match that got a little testy towards to end. Grainger will meet Grinham next in a battle of the former world number ones. 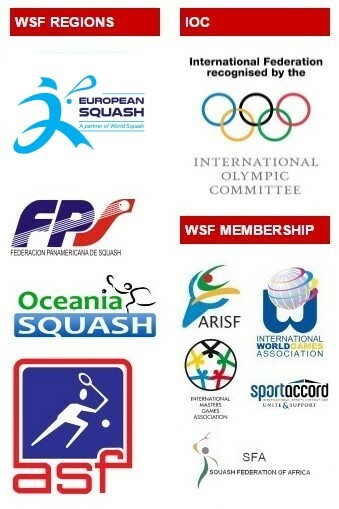 The pick of the first round matches saw France’s Camille Serme taken to five games by Australian Donna Urquhart. The stunning match turned into a real battle of wills between two supremely fit and highly athletic players. 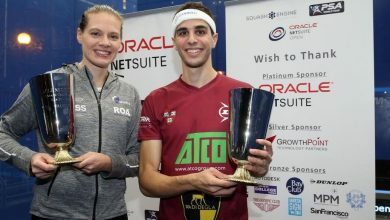 World No10 Serme breezed through the first two games before handing back the advantage to a determined Urquhart, ranked eight places below her. The Frenchwoman’s concentration seemed to flit in and out but she managed to stay focused long enough to win 11-8 in the fifth and set up a meeting with Waters. Australia’s Kasey Brown started proceedings at Leisure Park in Kallang with a four-game win over trans-Tasman rivalJaclyn Hawkes. 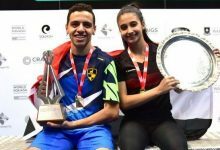 And the name of her opponent was confirmed seven matches later in the day’s final tie featuring world No1 Nicol David against Egypt’s Raneem El Weleily. Nicol is the draw at this annual tournament where she is adopted as a local by Singaporean fans. And the distinguished Malaysian she gave them a scare by dropping her first game 8-11 to El Weleily. The 26-year-old from Penang duly sharpened her focus – and her game – to motor through to the final eight.